Just wanted to let you in on a sneek preview of a few new classes for September. 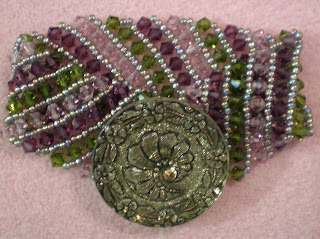 Keep your eye out for a large button for this new September class. I used a very large vintage button that was given to me by Betty Scott. 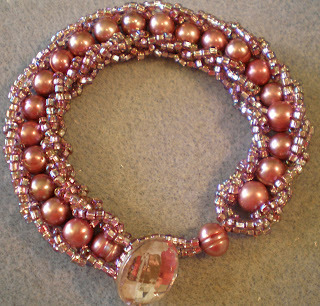 The bracelet is pretty wide, and I made this one with all crystals to bring out the bling factor. I love these bracelets, Wish I could find an antique button!